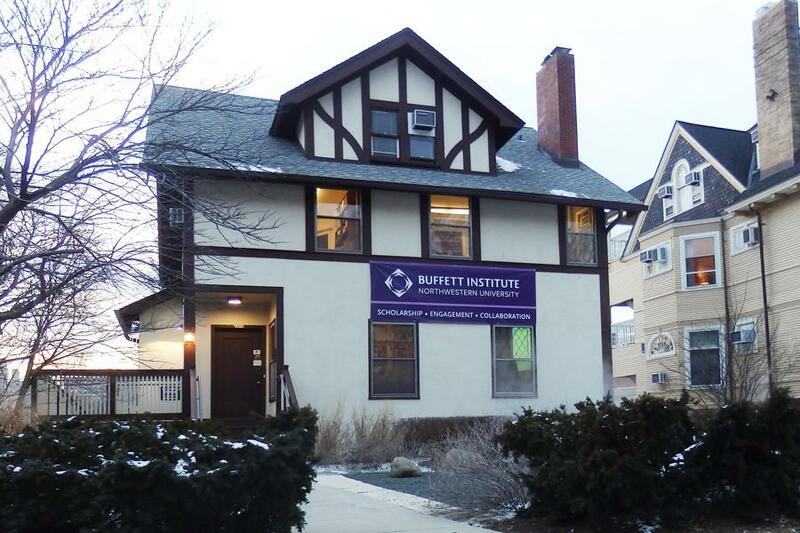 The Buffett Institute, which will be under the leadership of former ambassador to Afghanistan Karl Eikenberry starting September. Faculty are protesting Eikenberry’s appointment, calling on the University to withdraw the offer for his position. In a letter to The Daily, organized by political science and legal studies Prof. Jacqueline Stevens and Spanish and Portuguese Prof. Jorge Coronado, the faculty outlined a number of reasons for why Eikenberry should not have been selected for the position, including what they said was an opaque search process by the University and concern about using the humanities and social sciences to advance U.S. soft power. Undersigned faculty concluded the letter by requesting a new search process chaired by “an independent faculty member” from the Weinberg College of Arts and Sciences or a committee appointed by the president of the Faculty Senate. University President emeritus Henry Bienen, who chaired the search committee that hired Eikenberry, refuted the faculty’s accusations, and said he couldn’t recall anyone voicing dissatisfaction until the letter. Although he acknowledged Eikenberry’s non-academic background, Bienen said the appointment was “sensational” and expressed full confidence in the former ambassador’s leadership ability. Stevens countered Bienen’s claim, saying she sent Bienen an email on September 30 outlining concerns from NU faculty about Eikenberry’s appointment. Eikenberry currently works at Stanford University, where he is affiliated with four centers at the university’s Freeman Spogli Institute for International Studies. Prior to that, he spent 35 years in the U.S. Army working his way up to lieutenant general before retiring in 2009 to become President Barack Obama’s ambassador to Afghanistan. Eikenberry is slated to become the Buffett Institute’s first executive director in September. “I look forward to working collaboratively with the outstanding group of leaders, faculty, and fellows at the Institute and across the University — including those who are currently skeptical — to help increase opportunities for high quality research and studies across the academic disciplines,” Eikenberry wrote to The Daily in an email. But Coronado and Stevens said Eikenberry, who comes from a non-academic and military background, wasn’t the right fit for directing a research institute. “There’s this clubby network of people who are tied into the Northwestern board and to the military industrial complex who made a decision to appoint somebody who is not a scholar, and who has no experience running academic institutions to lead the premiere research institute of global studies at Northwestern,” Stevens told The Daily. Bienen told The Daily in January he recommended Eikenberry for his unorthodox background after meeting him five years ago at a conference in New York. He said a diverse group of humanists, administrators and social scientists narrowed down a list of candidates to three, and then Schapiro and Linzer made the final decision. Following the administration’s letter, however, Stevens and Coronado said the two messages seemed inconsistent. Schapiro and Linzer expressed no plans to open a new search process and called on faculty to draw their own conclusions based on direct interaction. “It is to be expected that a range of opinions will be found across the faculty; it is also to be expected that members of our academic community will engage new colleagues and opportunities with open minds, and will reach conclusions based on their own, direct interactions,” they wrote in their letter. A previous version of this story misstated Eikenberry’s affiliations at Stanford University. He is affiliated with four centers at Stanford. The Daily regrets the error. This article was updated March 2 at 12:12 a.m. to include information that Stevens had sent Bienen an email outlining faculty concerns about Eikenberry’s appointment.